Which is better, Clash of Clans or Clash Royale? I get the question a lot which one I enjoy more, so today I’m going to compare the two and analyze the pros and cons behind each of the two different Supercell games. Vote on the poll which one you prefer! Clash of Clans was the original, the game that Supercell was known for. Of course, now it is being countered by Clash Royale in popularity. However, Clash of Clans remains a fun game to play, because it features different offensive and defensive strategies as opposed to Clash Royale. Clash of Clans is also nice because it allows for you to gain trophies without playing through your defense. On the other side though, Clash of Clans isn’t as fun because you aren’t battling someone head to head where every moment needs to have a reaction. Essentially you are battling yourself in Clash of Clans. Also, it takes a lot of time to train troops in Clash of Clans; you can’t just go out and do a battle like you can in Clash Royale. 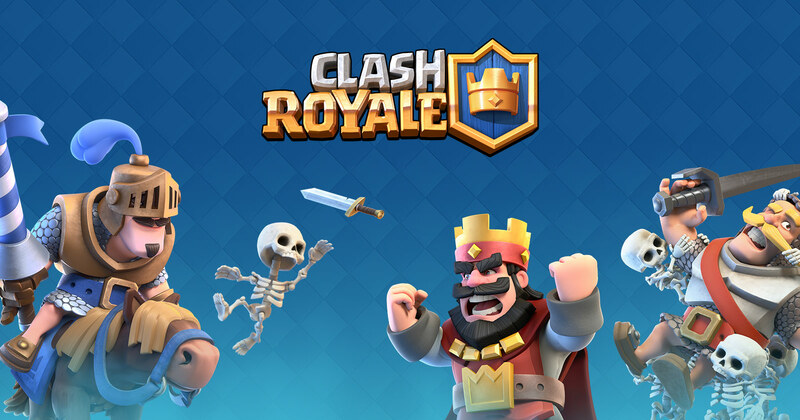 Clash Royale is a lot newer but it is already sweeping across the globe. I like Clash Royale because it offers more troops which leads to more strategies. Also, like I mentioned before, you can do battle after battle in Clash Royale, unlike in Clash of Clans. Clash Royale is also simpler to play, anyone can win if you have the skill (to some extent), but to beat high level bases in Clash of Clans, you need high level troops. Of course Clash Royale does get frustrating at some times. In the game, people with multiple legendaries are nearly impossible to beat below 3200 trophies. It is a P2W (pay to win) game with F2P (free to play) players just catching up now. Also, it is incredibly easy to go on losing streak, unlike in Clash of Clans. All in all, I don’t know which game I prefer. I like Clash Royale for its high paced action while I also like the slow thought out strategy behind Clash of Clans. Again, make sure to vote on our poll for which one you like more. Pingback: Clash of Clans vs. Clash Royale | Clash of Clans Guide, Strategies, Tricks and More!